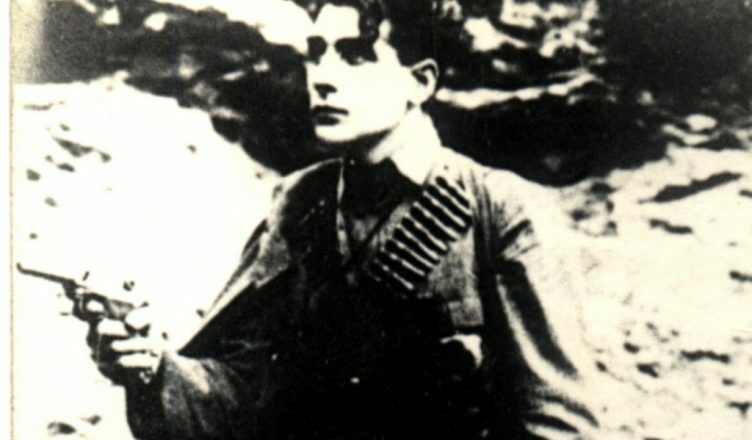 “Tinko Simov was one of the first anarchist outlaws in in Bulgaria and the last of the partisans of the guerilla tactic who fell in the struggle, after long years of life in clandestinity… He was a a very original man by his spirituality, his gaiety, his goodness and his sensitivity. Poet and aesthete by nature, he passionately loved nature, which he knew well, admiring the song of birds in the woods and climbing often in trees to replace disturbed nests.” Balkanski (Georgi Grigoriev). Tinko Simov was born in the village of Balgarene, near Lovech in Bulgaria, into a poor peasant family . He was educated to a primary level in his native village, and later studied at the municipal high school in Lovech. Here he joined a Marxist study circle for which he was expelled. He carried on his education at Gabrovo. He refused to take part in the first and second Balkan wars and dodged the draft. He was imprisoned but managed to escape, continuing propaganda against Bulgaria’s involvement in the First World War. As a result of this he was again imprisoned at the central prison in Sofia. It was during this period of imprisonment that he became an anarchist, under the influence of fellow prisoners Gueorgui Cheitanov and Zhelyu Grozev. After the war he was released and took a job in Gorna Oryahovitsa, working in a sugar refinery where he took part in the 1919-1920 transport strike. This was a mass strike also involving postal workers, due to deteriorating conditions after the First World War. The government responded by conscripting workers and other harsh measures. With the collapse of the strike Tinko returned to Balgarene where he worked in various low paid jobs, as a bricklayer, fireman and woodcutter. He took part in the founding of the Federation of Anarchist Communists of Bulgaria (FACB). During the coup d’état by military officers against the Agrarian government of Stamboliisky in 1923 he was working in Pleven. He was arrested and then interned in his native village. There he survived several murder attempts by the military. In 1926 the group clashed with the police on several occasions, as the result of attempts to free some of their supporters from prison which proved to be unsuccessful. In 1927 they attempted to rob the Agricultural Bank at Troyan, to finance their activities and propaganda. In a shootout Vassil Popov was wounded and then committed suicide in order not to fall into the hands of the police. Tinko managed to escape and the following year was still involved with a small armed group, which then withdrew to Yugoslavia. In the next few years, Tinko travelled around Europe making contact with anarchist organisations. In 1934 he returned to Bulgaria and attempted to continue with armed action there, but with little success. He hid for some time in the village of Lomets. There he was discovered and surrounded by police. Although heavily wounded, he managed to escape. He fled to Balgarene where he hid in the barn of a relative. He was betrayed and again surrounded by the police on 25th November 1935. This time he saved the last bullet for himself.